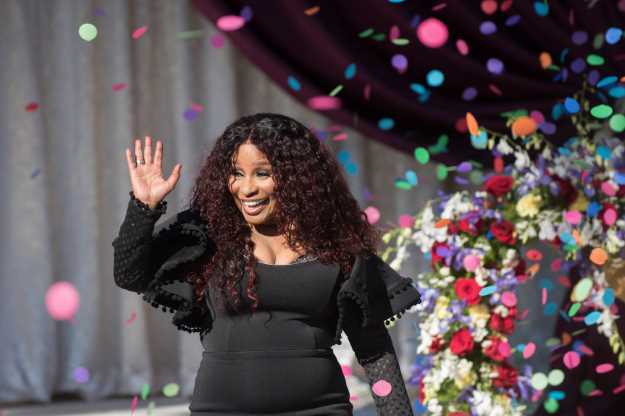 Chaka Khan will pull double duty at this year's Rose Parade - in addition to leading the parade as grand marshal, the singer will also perform in its Opening Spectacular. The musical event will kick off the Rose Parade on New Year's Day, just before the floral floats wind through Pasadena's streets. More than 400 people, featuring the "Queen of Funk" and three of her family members, will welcome 2019 with a slate of musical performances, dancing and more, according to a Tournament of Roses news release. Tournament leaders aren't sure if this is the very first time a grand marshal has performed in the opening ceremony over the course of the parade's 130-year history, but it's definitely the first time in recent years. Jordan Fisher, an actor and singer who won the 25th season of "Dancing with the Stars," will lead the musical celebration. Other performers scheduled are HTEDance & Spirit Group of Irving, Texas; Kaiser Catamount Pride Band & Color Guard of Fontana; Boys of Temecula/Temecula Dance Company and Pasadena's own Wilson Middle School Drum Corps. Khan will be joined by her nephew, Tyler McCrary, and grandsons, Jett and Josh Khan-Corley. "We're thrilled to add this talented list of performers to the Rose Parade lineup. The opening show isn't a new addition, but it has evolved over the years, and this year, it's even better," tournament CEO David Eads said in a statement. "Grand marshals have appeared in opening shows in the past, but this may be the first time a grand marshal has performed in an opening show." A ew element this year will come at the end of the parade, when a to-be-announced celebrity guest will throw a football from the parade route that will "magically" soar to the Rose Bowl stadium, when it will be caught by another notable figure - "that will build a bridge from the Rose Parade to the Rose Bowl Game and provide a new tradition for people to look forward to," Eads said. That magical throw will punctuate the parade's grand finale, which will feature British singer-songwriter Anne-Marie.